The main MTest control room is located on the west side of the MTest beamline. It is most convenient for users whose experiment resides in the MT6.2 enclosure. 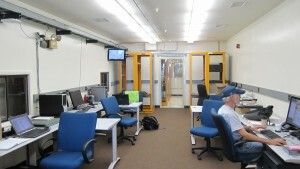 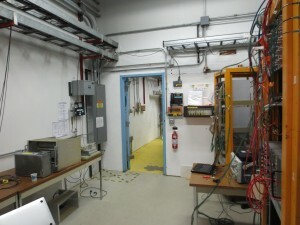 The Alcove Control Room is located on the east side of the MTest beamline and is most convenient for users whose experiment resides in the MT6.1 enclosure.